A number of prominent economists authored a statement recently in favor of a carbon tax-and-dividend proposal in the Wall Street Journal. The case for such a policy is very straightforward: it (1) increases the price of carbon, which (1a) reduces carbon consumption, and (2) net transfers income to the lower and middle classes, which (2a) is good in itself and (2b) offsets the regressive impacts of other climate policy items like clean energy mandates. The case against such a policy is relatively opaque and confusing. Some people say it should not be the only climate policy. But that is not an argument against making it one of the policies. A policy aimed at electrifying all heating and cooking should not be the only climate policy, but it does not therefore follow that it shouldn’t be one of the policies. The same is true of the carbon tax. Some people say it is not politically possible and point to some places like Washington state where it has gone down to political defeat. This argument runs into three different problems. Firstly, a carbon tax is politically possible. It has gone down to defeat in some places but has also been successfully implemented in one form or another in other places. Secondly, if current political failure renders something permanently politically impossible, then every other piece of the climate agenda that has not yet passed is politically impossible. The Green New Deal, for instance, has been around since at least 2007 and yet here we are with it never having been implemented. Finally, just because something is politically difficult does not mean it is a bad idea on the merits. By far the strangest argument, but now the most common one I see online, says that carbon taxes are neoliberalism or in some sense not properly leftist. What’s so odd about this argument is that it implies that the appropriate way to set the price of carbon is to let the market do it. Having the central government dictate carbon prices from on high is neoliberalism, while letting the interplay of supply and demand set them is socialism, apparently. On this reasoning, not only should we avoid new carbon taxes, but also we should presumably eliminate the carbon-related taxes we already have, including the gas tax and the excise tax on coal. That seems like a bad idea though. If we actually succeed in our efforts to transition to a carbon-free economy, the question of what the appropriate price of carbon should be will obviously become moot since there will be nothing to price. But in the meantime, every plan we have intends for carbon-based energy to be produced and consumed for at least a while. And that energy — whether it takes the form of electricity or gasoline or whatever — will have a price. 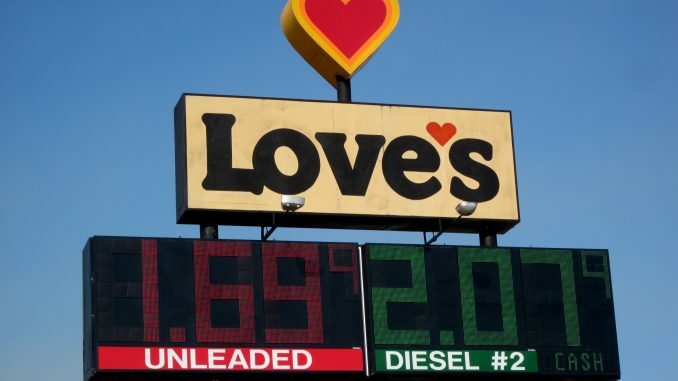 When people go to the gas station, there will be a big sign up there that lists prices. The question we have to ask ourselves is: what should the price on that sign be? This is an unavoidable question. The price will be set. There will be digits beside a quantity of energy and people will pay cash equal to those digits for that quantity of energy. Under current policy, that quantity is going to be priced mostly by market mechanisms that will set it relatively low. Going forward, the government can either continue its policy of allowing the market to set the price of carbon or it can step in and dictate a much higher price through a carbon tax policy that also significantly reduces inequality and poverty. This does not seem like a difficult choice.